Savanté Wine Cellars is proud to set a new standard of excellence. Our award winning, innovative designs and superior materials become artistic masterpieces that will be a centerpiece of your home. With over 40 years of woodworking and wine cellar experience, our team are true craftsmen. While other cellar companies continue to use the same old redwood ladder designs, Savanté expands the design possibilities. With our proprietary processes of steam bending, color fuming and furniture joinery, we consistently create a new class of cellars. These drawings are available to help you envision your wine room in it's completed state. Our cellars are built green. We utilize recycled materials such as reclaimed wine barrels, certified American sources of renewable hard-woods and formaldehyde free sheet goods. In addition to eliminating chemical finishes by using fuming and oiling as a coloration process. The difference is in the quality and feel of every cellar we build. Our award winning designers and skilled craftsman will create, build and install your custom wine cellar to exact specifications that will exceed your expectations. Our rooms have won many awards for creative design, attention to detail and overall superior craftsmanship. The difference is clear when choosing a Savante Wine Cellar. We can engrave quotes, full illustrations, your family's crest, or simply numbers below each neck hole for easy inventorying. Our laser machine has been adapted to accept large sized pieces to make the most of your cellars personalization. Using 25% less material by volume than other wood systems allows for greater airflow around your bottles. Our proprietary racking design is the most earthquake proof by protecting the bottle from vibrating forward out of its space or back against the wall material. 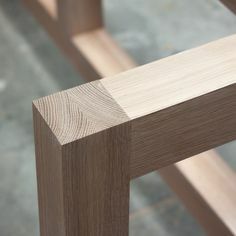 Mortise and tenon construction creates furniture grade strength without using nails, staples or screws to assemble our racking system. Unmatched attention to detail allows for a truly radiant structure, all while using heirloom quality joinery that is as sturdy as it is is beautiful.